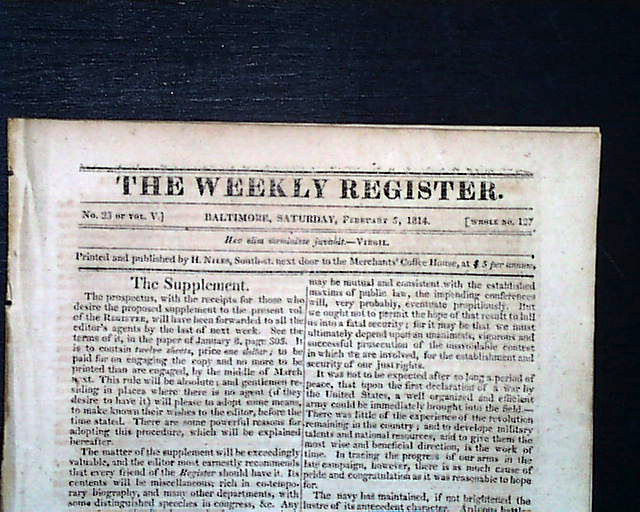 THE WEEKLY REGISTER, Baltimore, Feb. 5, 1814 Among the "Laws of the United States" is: "An Act making further provision for filling the ranks of the regular army, encouraging enlistments..." signed in type: James Madison. 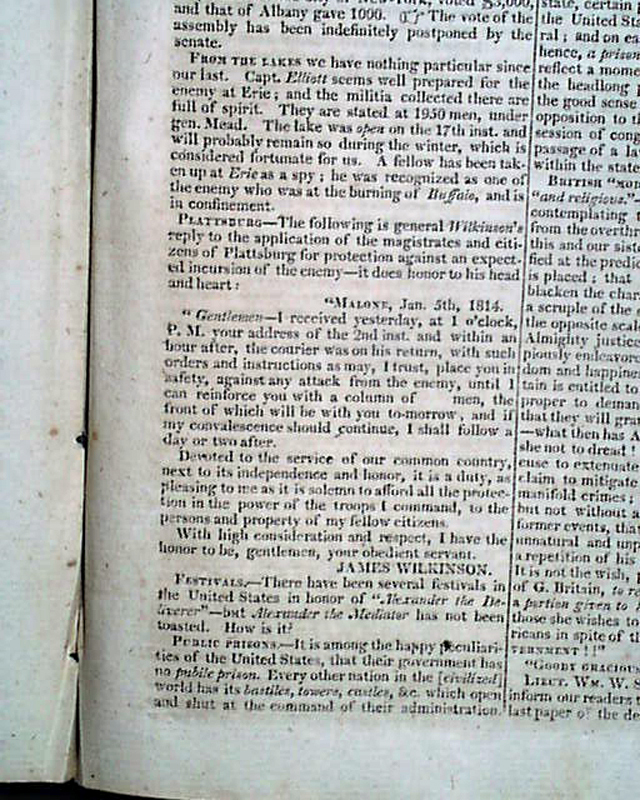 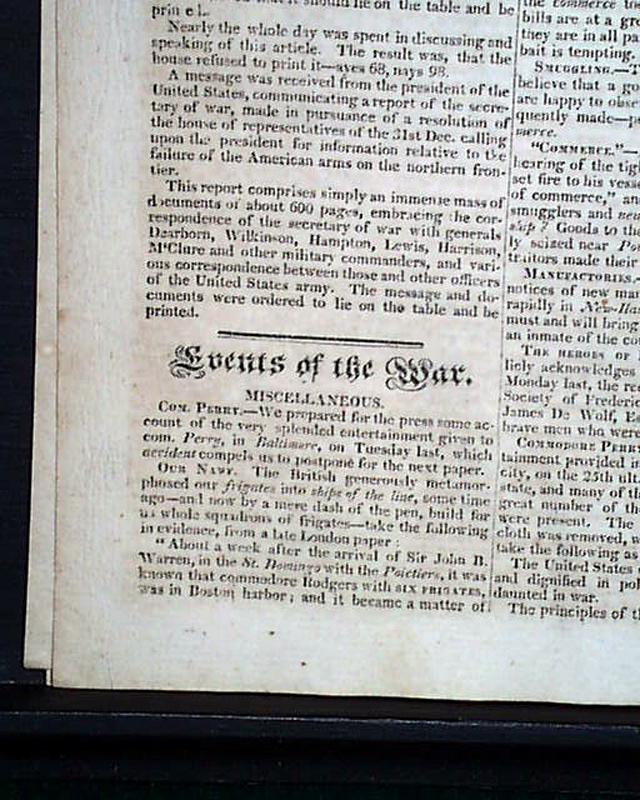 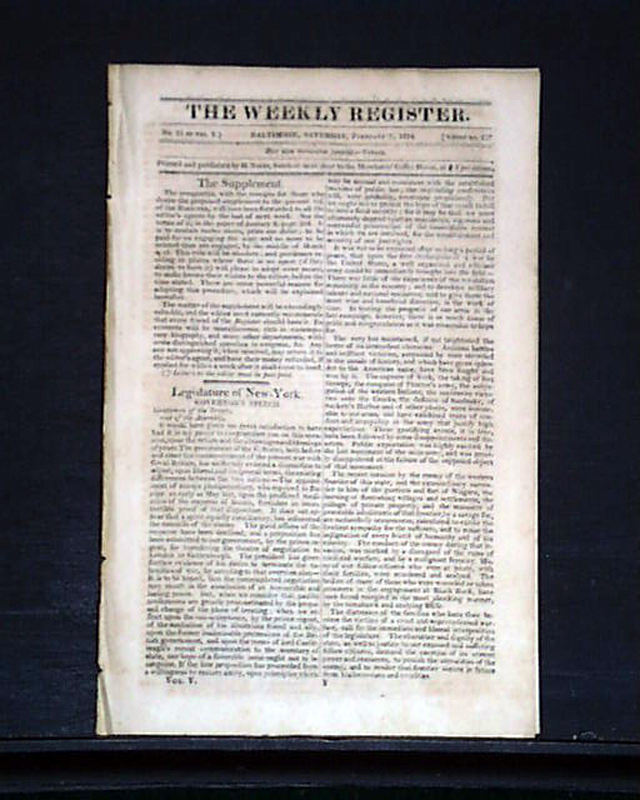 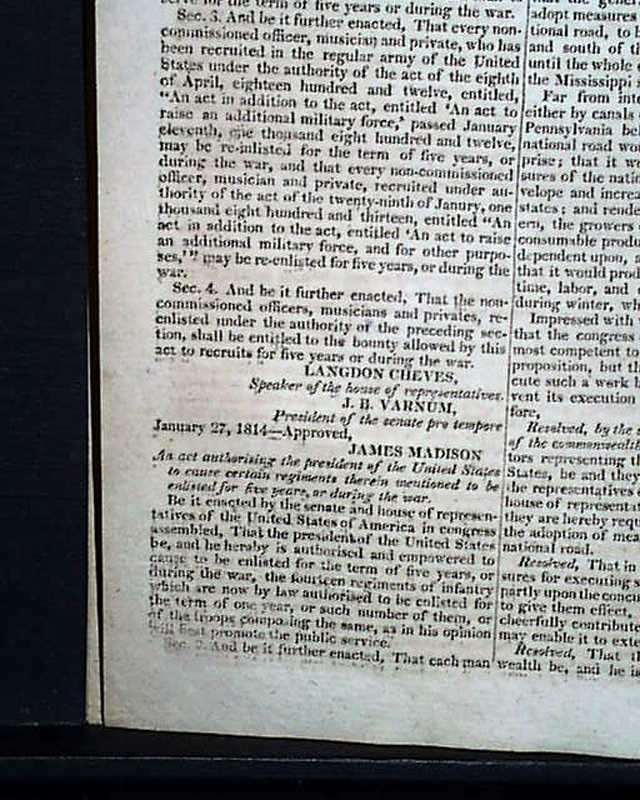 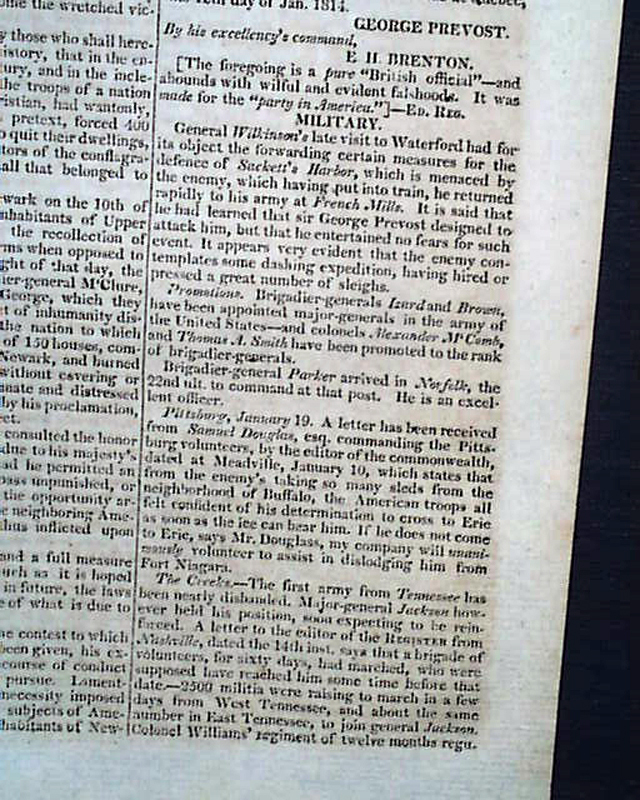 There are 5 pages taken up with: "Events of the War" concerning news from the War of 1812. 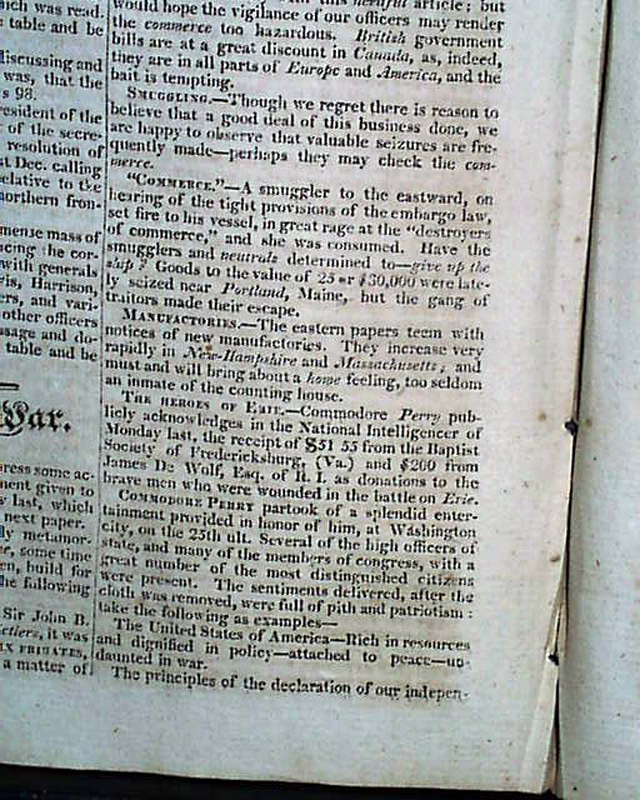 Included are subheads & reports: "Com. 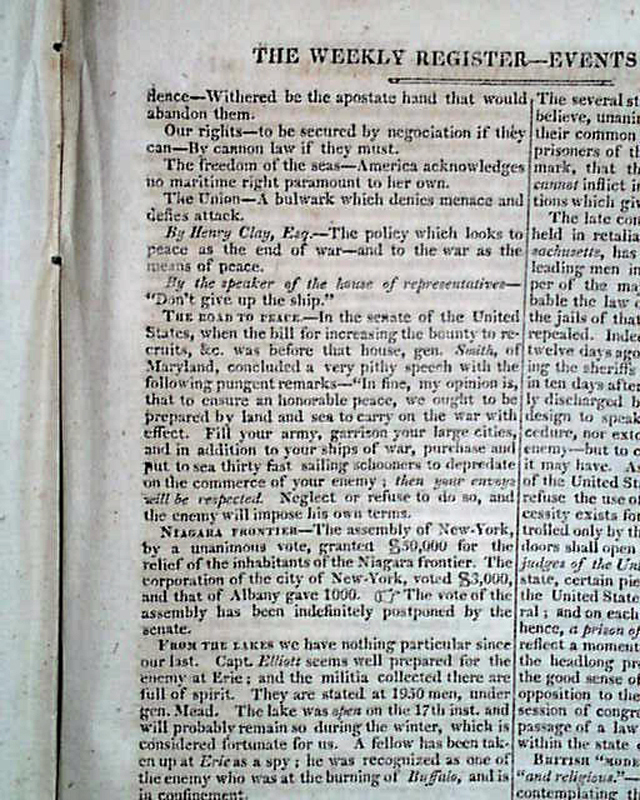 Perry" "The Heroes of Erie" "From the Lakes" "The Road to Peace" "British Moderation" "Road to Peace" "The Creeks" "Blockade of New London" and much more. 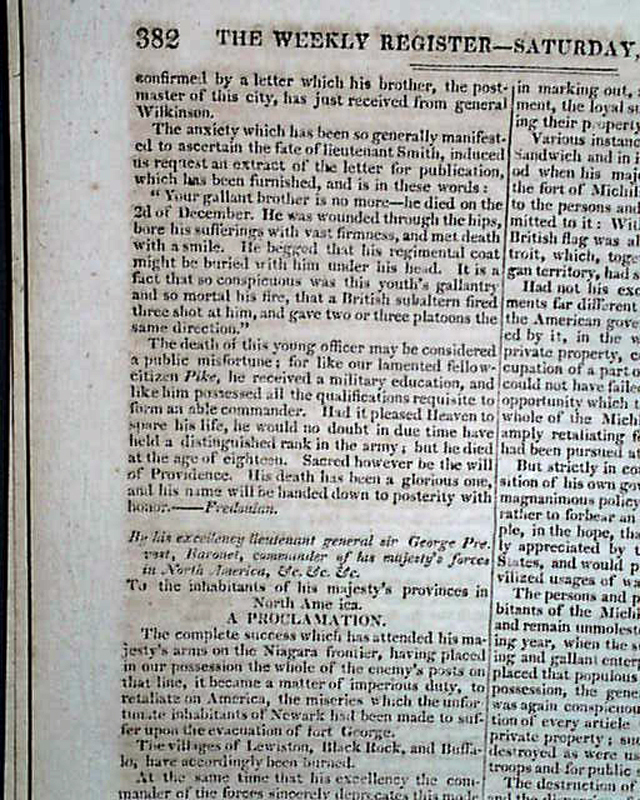 Included also is: "A Proclamation" signed in type by: George Prevost, beginning: "The complete success which has attended his majesty's arms on the Niagara frontier having placed in our possession the whole of the enemy's posts on that line...to retaliate on America the miseries which the unfortunate inhabitants of Newark had been made to suffer upon the evacuation of fort George. 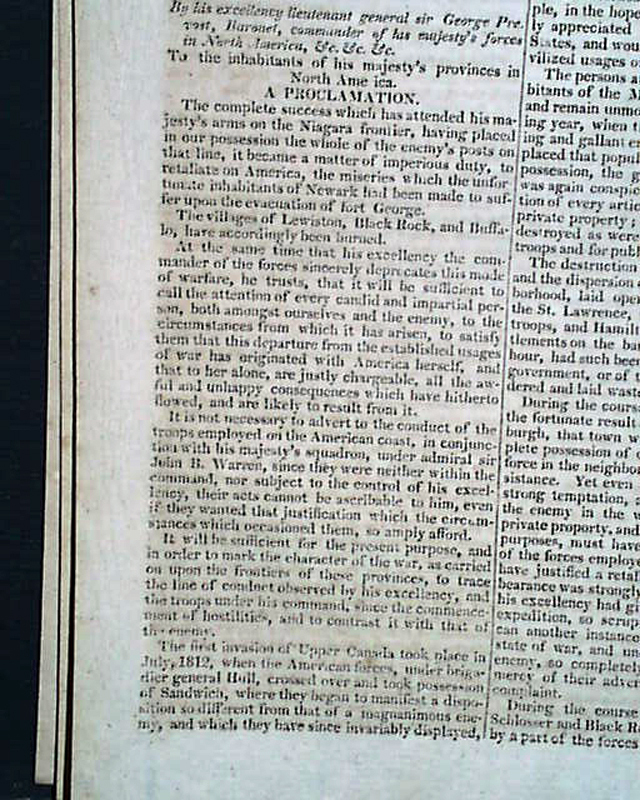 The villages of Lewiston, black Rock, and Buffalo, have accordingly been burned..." and much more, taking over 1 1/2 pages. 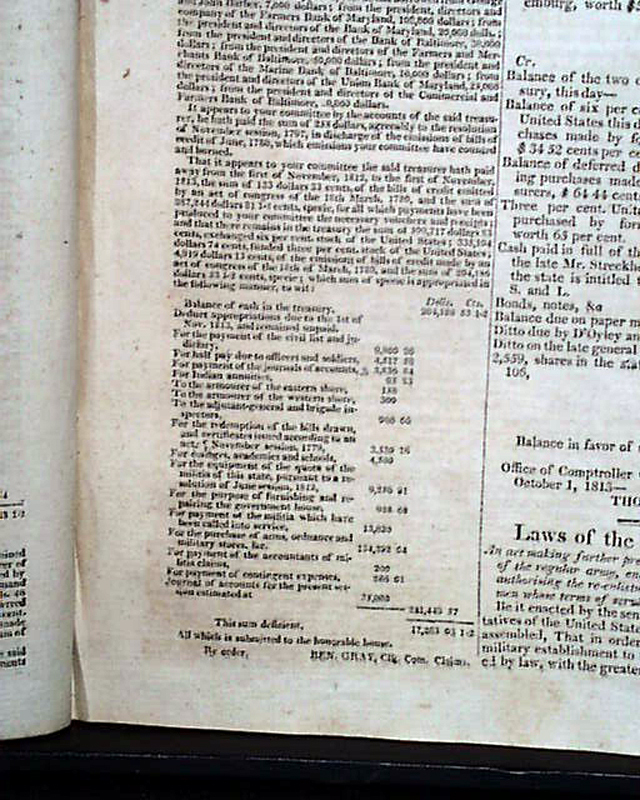 Complete in 16 pages, 6 1/4 by 9 1/2 inches, evenly toned, otherwise in very good condition.